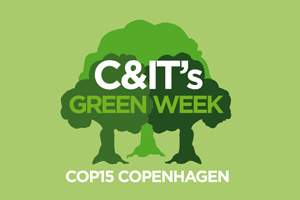 C&IT GREEN WEEK: Stockholm is gearing up for its year as the European Green Capital for 2010 with the opening of a number of C&I developments. Sweden's capital was this year named the first European Green Capital by the European Commission and its status comes into affect at the start 2010. The destination claims that most of its hotels are "eco-labelled", have environmentally friendly air-conditioning systems, and that recycled materials are commonly used in the construction of new venues. The Stockholm Visitors Board's meetings and convention department is being rebranded in 2010 as the Stockholm Convention Bureau with a remit to take charge of corporate and association meetings. City of Stockholm vice mayor Ulla Hamilton said: "The Stockholm model builds upon the principle that environmental aspects have to be integrated everywhere and at all times. Improving our environment, minimising our environmental impact and reducing our carbon emission levels are issues that all our companies have to work with on a daily basis." What is your experience with sustainability and BS8901? Join the C&IT forum on sustainability here and leave your comments.